In November 2018 British Columbia will be holding a referendum on changing the province’s electoral system to a form of proportional representation (PR). Proponents advocating for the change to a PR electoral system argue that the current system is unfair because it disproportionately allocates more seats to certain parties than the proportion of votes that those party receive, and also potentially leads to minority views being underrepresented. However, this single-minded critique of the current system is overly simplistic since it focuses only on the benefits of proportionality and ignores the many inevitable tradeoffs involved in a proportional system. Indeed, changing the electoral system to a form of PR would undoubtedly lead to both planned and unforeseen changes that would affect how the government functions, how public policy is made, and would influence representation and voter accountability, among other matters. Consider first how a shift to a PR electoral system would affect the composition of BC’s legislature. As the electoral institutions and party incentives began to shift, the province’s legislature would become more fragmented, meaning that more parties would be represented in the legislature. While proponents of PR see the situation where more parties are receiving representation and the positive effect that this has on proportionality as a positive development, there are a number of drawbacks with a more fragmented legislature. One drawback is the types of parties that can be elected. As more parties receive seats in PR electoral systems, the effective threshold for parties to get elected is lower, which often leads to fringe or extreme parties on both the left and right of the political spectrum receiving a greater share of seats than would similar parties in our current electoral system. PR proponents also contend that a more fragmented legislature will allow for a greater representation of minority views. However, it is incorrect to assume that minority views are not well represented in FPTP electoral systems. While the influence of minority views is more explicit under PR electoral rules due to the higher frequency with which coalition governments are formed, minority views are still represented in plurality and majoritarian systems, because no single party can gain the widespread support that would allow them to govern in such systems without building a coalition of both large and small societal groups. In other words, the parties and their platforms in majoritarian and plurality systems must be broad enough to appeal to a number of constituent groups. Another way of thinking of this is that many different voter blocs, including those that represent minority views, tend to get a little bit of some of their policy preferences, but not all of them. As a result, majoritarian and plurality electoral systems lead to more moderate policy platforms. This type of coalition-building within the party system creates more stable governments than is the case under a PR system because the varying factions within the party are more likely to compromise than if they were in separate parties. A further consequence of a more fragmented legislature is that coalition governments, as opposed to majority governments, will most likely become the norm for British Columbia. 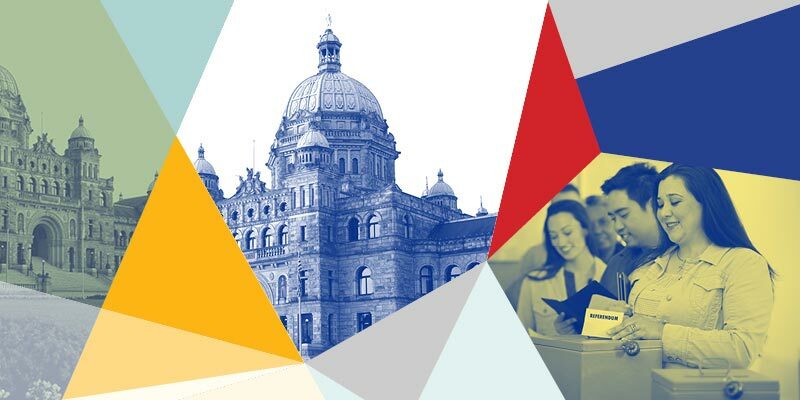 Coalition governments in BC could lead to greater policy uncertainty due to the ambiguity over which parties may form the coalition and the time that it can take to form a coalition government. Finally, a shift to a PR electoral system in BC could lead to a poorer representation of voters’ views, while also making it more difficult for British Columbians to hold their politicians to account. Given the wide-ranging effects that a change to BC’s electoral system would have, debates about electoral reform need to be expanded, and governments and citizens should consider a broader set of evaluative criteria when determining whether changing the province’s electoral system is necessary or prudent.